To be sent out to all dioceses soon! 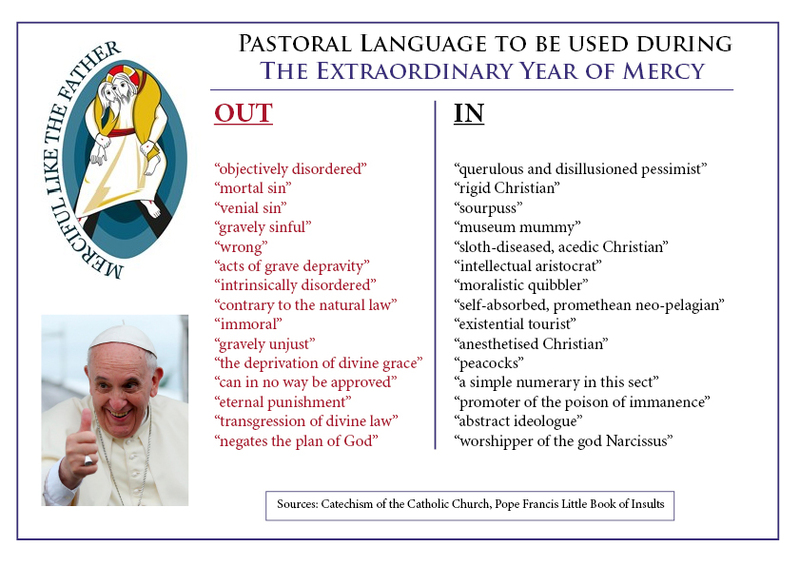 Use pastoral language, not phrases that some people could find offensive! In summary, use language that is neither "archaic" nor "incomprehensible". However a heretic is what a heretic does-we don't need to search too far to see who that person is!Your piece is funny albeit amidst a mindset of indifferent prelates including our own man Nichols-i can't face calling him cardinal.god Bless. Two guys with three eyes. This pope is such a dud. It really is sickening and depressing. NB: Be sure that one's words always hide and distort the truth, and leads away from God and His Holy Law, and the graces that He makes available to those who love Him. 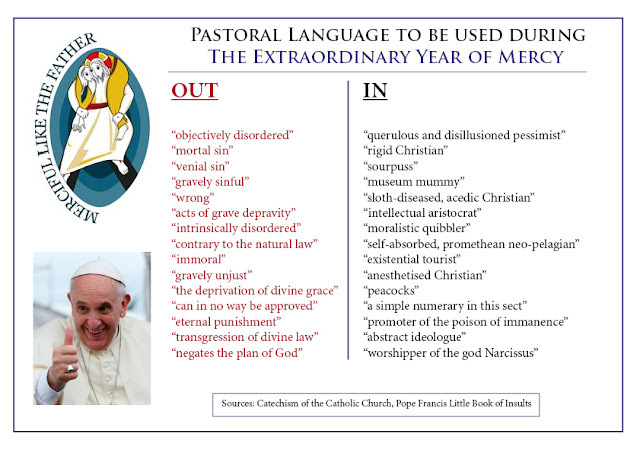 Hmmm... the Luther Insult Generator has been around for a while; so I'm thinking that the Vatican Insult Generator can't be far off now, being as it seems that playing catch-up on heretics is all the rage in certain (magic) circles. Don't forget fomenter of eating excrement.